Are you aware of any closed-loop systems that titrate oxygen delivery based on O2 sats? I have friends who have diabetes and they have insulin pumps that deliver just enough insulin to keep them in the “safe zone” at all times. Shouldn’t we have that type of machine for oxygen delivery? To our knowledge there is no closed-loop system that titrates oxygen delivery based on O2 sats for mobile oxygen supply systems available. Such a system is available to test need for oxygen within the pulmonary function test lab, but not yet implemented in oxygen care systems. I understand PPFE is a rare ILD. Is there any reason PPFE patients should not be included in other studies for PF/ILD research? Is there a huge difference as to the fibrosis of other PF and PPFE? Indeed PPFE differs much from idiopathic pulmonary fibrosis (IPF) and other types of pulmonary fibrosis. There are huge differences in regards to the cellular composition of the fibrosis. There is no evidence that any approved antifibrotic treatment works for PPFE and several case reports suggest that there is probably no benefit of approved antifibrotic treatment. Therefore, it is not reasonable to include PPFE patients in clinical trials testing new compounds for IPF. Unfortunately there is no evidence so far that any treatment works in PPFE. Avoidance of any infections and weight loss is recommended. How is the handling of systemic diseases - like sarcoidosis for instance - cooperated between ERNs? 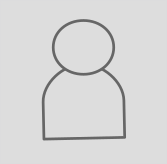 Within ERN-LUNG there are quite a number of experts with extensive experience with sarcoidosis. If needed, we have a panel discussion among these experts and in addition to this we are well connected with the other RNS as well. 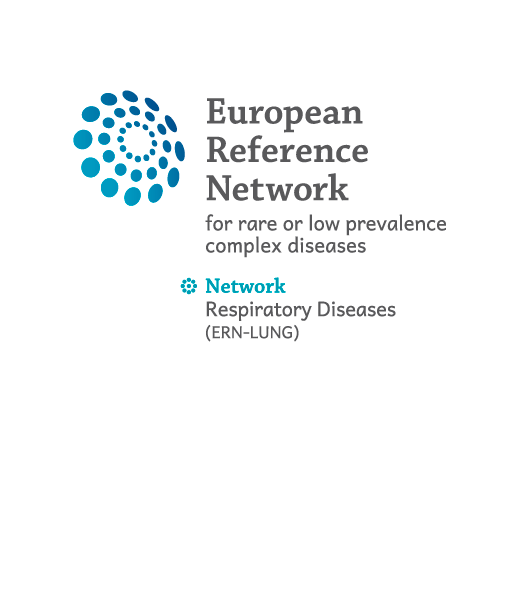 Unfortunately, no questions are yet available for this sector of rare respiratory diseases. "Most likely, this question relates to pulmonary exacerbations. The PCD Core Network is currently working on a definition of 'pulmonary exacerbation'. Obviously, increased cough frequency, shortness of breath, impaired general condition, increased sputum production, and/or fever can indicate pulmonary exacerbation and antibiotics can be started regardless whether auscultation is normal or not..."
To put it a bit more precisely we PCD-patients have the impression that in the chronic, "normal" state the doctor listening to the chest of a PCD-patient hears a "hubbel-bubble" or a "washing-machine-sound". When there is an exacerbation it often happens that the doctor hears "nothing" which means, as you wrote correctly "they do not hear any pathological crackles or wheezes although they hear the normal breathing sound" any more. Inexperienced doctors (concerning PCD) tend to take this as a sign that the situation cannot be bad (even better than normal) whereas we patients have the impression that exactly this phenomenon (that the usual hubble-bubble is gone) is a warning sign that things are deteriorating. We think that possibly inexperienced doctors (concerning PCD) should be informed about this and we are wondering, why the usually pathological sound changes to normal when in fact things get worse. Is it e.g. because patients tend to more shallow breathing (not to start coughing) which leads to this? You quoted correctly the part of the answer Prof. Omran gave. Because I had the feeling that your focus was more on the lack of typical sounds in bronchiectasis patients (i.e. PCD patients). I added a notion about what a "silent chest" can mean in asthma. The mechanism of subsiding sounds (crackles and/or wheezes) most likely is the same. Normally, on auscultation we hear a normal breathing sound, in bronchitis (that's the "hubbel-bubbel") we hear tinuous sounds on top we call crackles. These crackles are on top of the normal sound. If the crackles are gone it depends on the fact whether we hear a normal breathing sound, that would be good news and most doctors would say "I don't hear anything anymore" (Means: no abnormal crackles anymore). But if both crackles and normal breathing sound cannot be heard anymore that may be a bad omen. But this is not specific to PCD. It is a phenomenon well known in asthma, bronchitis, bronchiectasis, or pneumonia. Every now and then in our patient group people report that they or their child had more cough and felt bad but when the doctor listened at the chest he said: "It cannot be so bad, I cannot hear anything." So we in the group have the impression that in PCD it is often a bad sign if the doctor does not hear anything. It is better if he/she hears a "washing-machine-sound". Is this also your experience and do you have an explanation for this phenomenon? "Most likely, this question relates to pulmonary exacerbations. The PCD Core Network is currently working on a definition of 'pulmonary exacerbation'. Obviously, increased cough frequency, shortness of breath, impaired general condition, increased sputum production, and/or fever can indicate pulmonary exacerbation and antibiotics can be started regardless whether auscultation is normal or not". In asthma patients we consider the phenomenon of a 'silent chest', a condition when neither a normal breathing sound nor wheezes can be heard, as an indicator of very severe asthma. This among doctors is a well known phenomenon and warning sign, which can be explained by the fact that in severe asthma the air flow in the obstructed airways is reduced due to exhaustion of the breathing muscles and thus mucus isn't vibrating anymore. It is important though, to understand that most doctors who say "I cannot hear anything" when doing an auscultation indicate that they do not hear any pathological crackles or wheezes although they hear the normal breathing sound. Following to several studies there seems to be an elevated risk of osteoporosis in patients with Non-CF-bronchiectasis, especially if there is a chronic infection and also if they are desaturisers during exercise. What are the consequences of this for elderly PCD-patients concerning prophylaxis of osteoporosis and need of measurement of bone mineral densitiy? This is a good question. However, so far we do not have any evidence based answer to this question because it has never been studied. We would need a study to clarify this issue. Subject: What is the current definition of PAH we should use? In the ESC/ERS Pulmonary Hypertension (PH) guidelines published in 2015, it was stated that pulmonary arterial hypertension (PAH) could be diagnosed when mean pulmonary artery pressure (mPAP) is > 25 mmHg with PVR > 3WUI in the absence of chronic cardiac, lung or thromboembolic disease. More recently, the PH definition task force of the 6th World Symposium of PH highlighted that we have been aware for many years of the gap between 20 mmHg, the upper level of normal mPAP, and 25 mmHg, our former threshold used to define PH with right heart catheterisation. There is indeed no debate that any value of mPAP above 20 mmHg is abnormal. The PH definition task force stated clearly that pre-capillary PH due to pulmonary vascular disease can be diagnosed when mPAP > 20 mmHg is associated with abnormal pulmonary vascular resistance ? 3 Wood Units. Of note, a change in the haemodynamic definition of PH due to pulmonary vascular diseases does not imply treating additional patients, but highlights the importance of close monitoring and further research. Last, the clinical information is too limited to provide an accurate reply. - Cohort studies have revealed that persisting or deteriorating dyspnoea and poor physical performance are frequently present 6 months to 3 years after an acute PE episode. The proportion of patients claiming that their health status is worse at 6-month follow-up than it was at the time of PE diagnosis varies widely, ranging between 20% and 75%. The following baseline parameters and findings could be identified as predictors of exertional dyspnoea at long-term follow-up after PE: Advanced age, cardiac or pulmonary comorbidity, as well as higher body mass index and a smoking history; higher systolic PAP and RV dysfunction at diagnosis; and residual pulmonary vascular obstruction at discharge. Taken together, older and recent cohort studies suggest that muscle deconditioning, particularly in the presence of excess body weight and cardiopulmonary comorbidity, is largely responsible for the frequently reported dyspnoea and signs of exercise limitation after acute PE. This also means that, at least in the majority of cases, poor physical performance after PE does not appear to be attributable to “large” residual thrombi or persisting/progressive PH and RV dysfunction. - In the setting of ERN-LUNG, decreased exercise capacity after acute PE may correspond to chronic thromboembolic disease with or without pulmonary hypertension (CTEPH). Is there any clinical evidence of right heart failure and/or PH? The best screening tool for CTEPH is ventilation/perfusion lung scintigraphy. Doppler echocardiography will allow evolution of the right and left side of the heart and estimate sPAP. If V/Q lung scan shows mismatched perfusion defects, a computed tomography pulmonary angiography will allow an assessment of possible CTEPH. Right heart catheterization and pulmonary angiography performed in an expert center with a multidisciplinary team will allow complete hemodynamic assessment and imaging (and discuss management). I have seen a patient with Yellow Nail Syndrome who had been complaining about a continuous dry cough for many years. His Bronchiectasis problem was not the cause of this permanent coghing. All treatments including systemic corticoisteroids etc. failed to improve the coughing until we decided to try Mepolizumab since the Eosinophils were in the range of 6 to 9%. The cough has stopped for almost 6 months now. Do you have any similar experience? Gemäss verschiedenen Studien ist offenbar das Risiko für Osteoporose erhöht bei Patienten mit Bronchiektasen, besonders, wenn eine chronische Infektion vorliegt und evtl. noch mehr, wenn bei Belastung der Sauerstoff absinkt. Welche Empfehlungen ergeben sich daraus für ältere PCD-Patienten bezüglich Osteoporose-Prophylaxe und bezüglich Messung der Knochendichte? das ist eine gute Frage, die wir leider nicht auf Evidenz gestützt beantworten können. Bisher gibt es unseres Wissens keine Studien zu dieser Frage, man müsste zur Klärung eine Studie durchführen.